Since the beginning of December we have run 19 courses with 175 people attending, how wonderful is that! 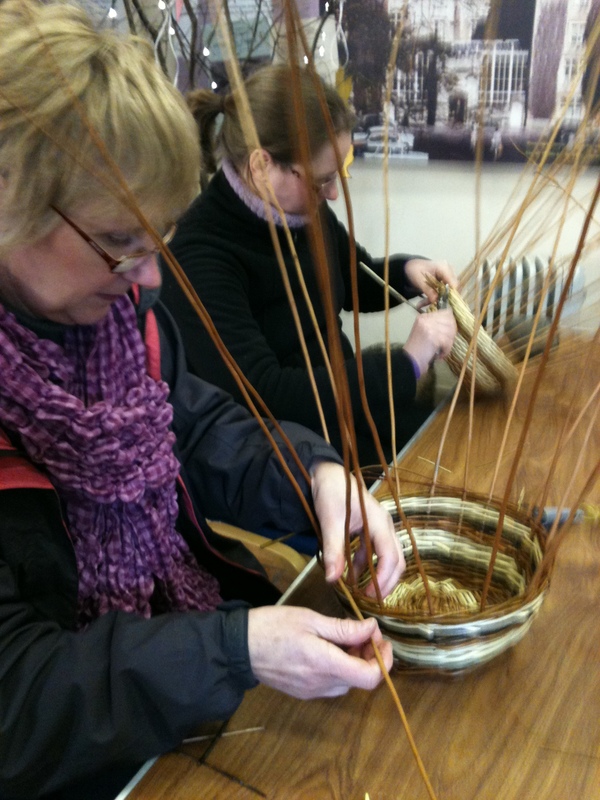 It has been so lovely to meet so many new friends and see old friends returning to hone their skills. One of our students, Maggie, told us that we should give out a health warning at the beginning of courses ‘Be aware that you may become seriously addicted’ – this has proved so true with some members of our improvers groups now having up to 15 courses under their belts and beginners booking further courses before their first day is even finished! Beginners courses have been going really well with courses fully booked weeks ahead of their date. The enthusiasm and excitement of students has been so inspiring and many beautiful first born baskets have been produced. 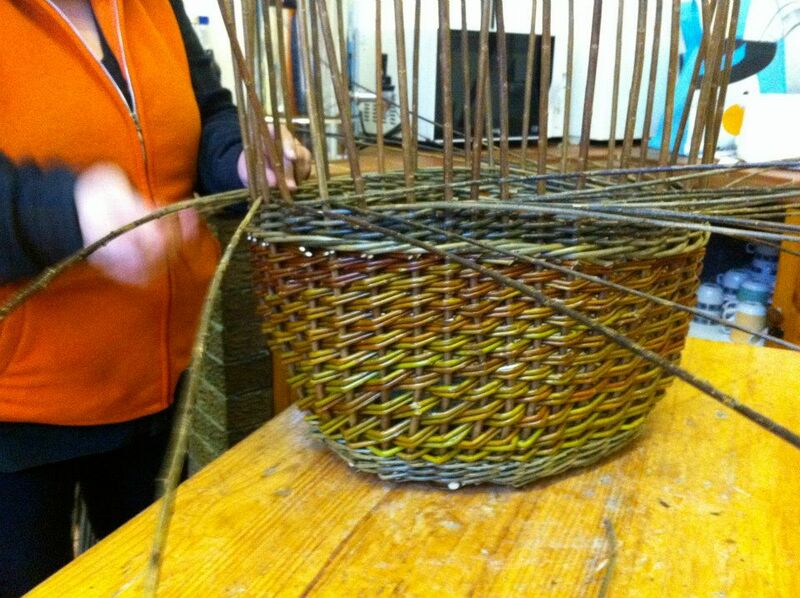 We teach 3 Beginners courses, a small round stake and strand basket and 2 different frame basket courses. 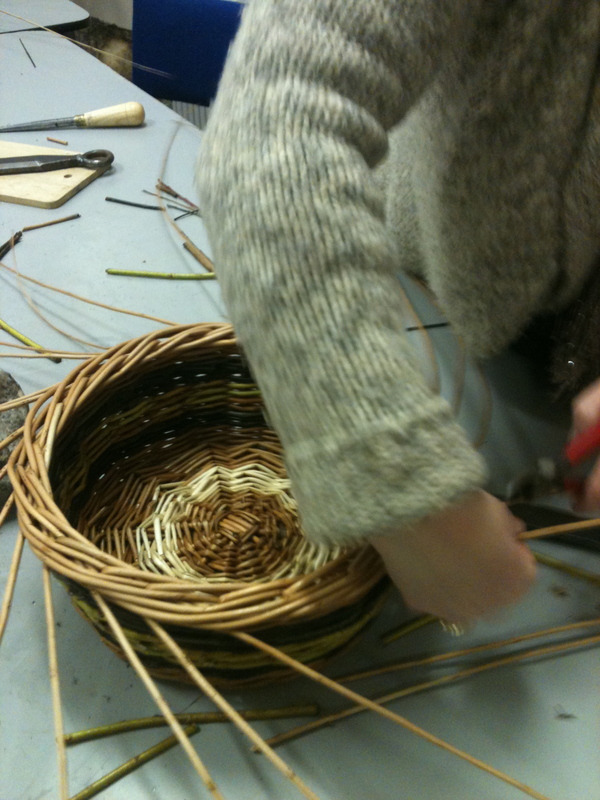 The improvers courses have seen some astonishingly accomplished baskets produced and everyone has continued to improve their skills remarkably. During these courses we always try to encourage students to extend their skills by using new weaves and trying out new techniques while they have the time to concentrate and someone on hand to instruct and assist where necessary. 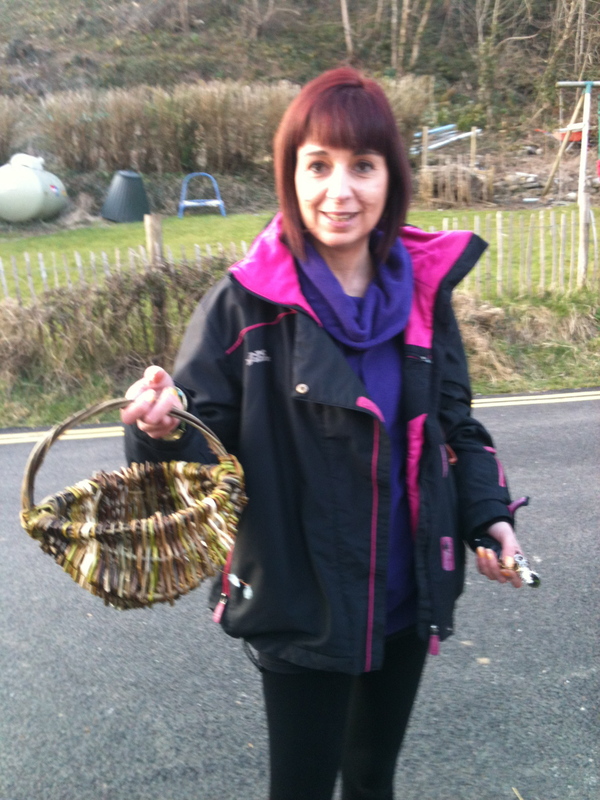 The log basket course challenged students to plan their basket carefully and select all their materials before starting. 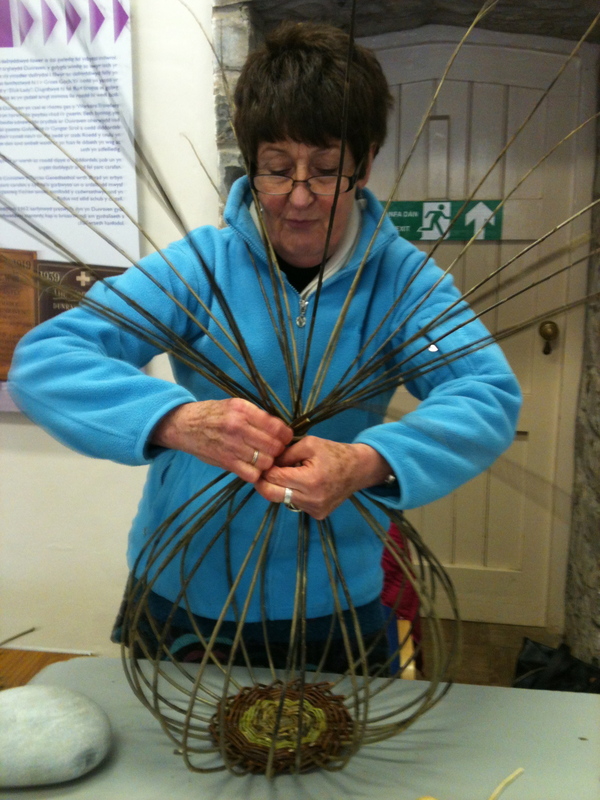 7 and 8 ft willow was prepared for side stakes and then a variety of different weaves including ‘Roy’s Wale’ (thanks to Roy Youdale) were taught and practised. 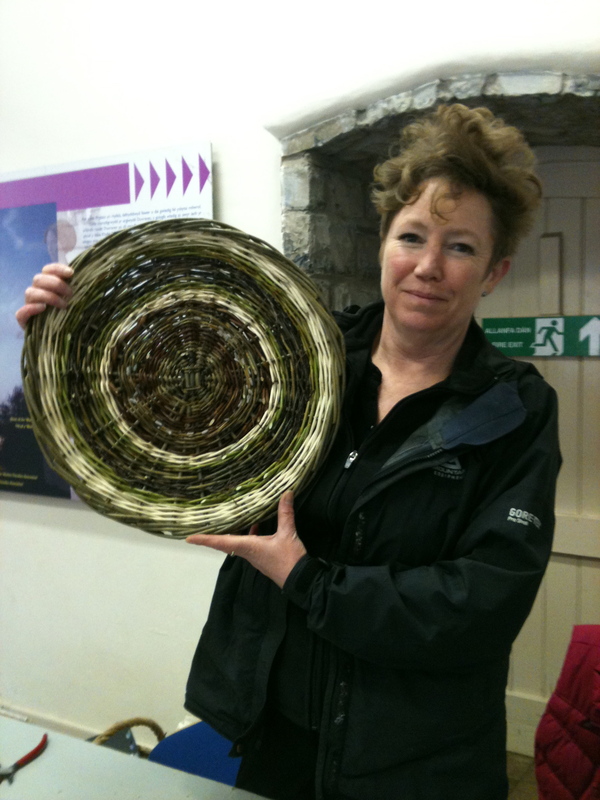 All students finished a great variety of attractive oval or round baskets. 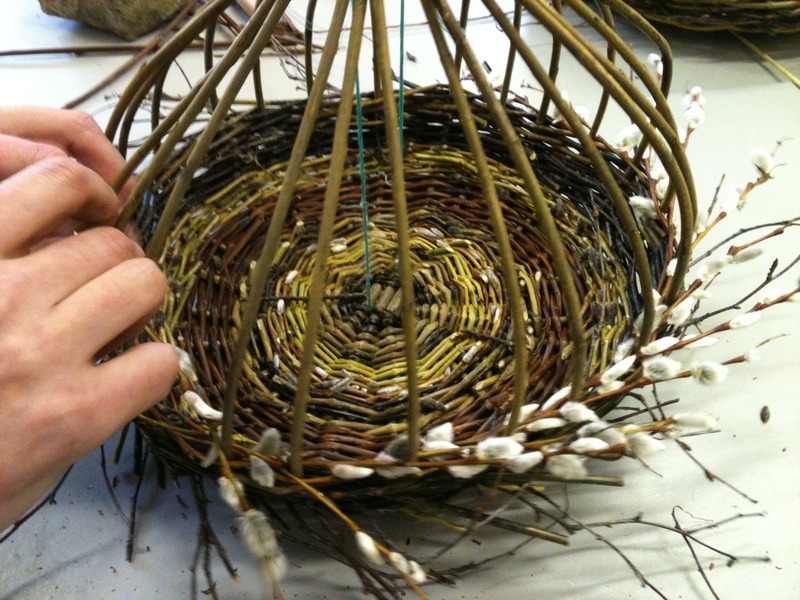 The most recent improvers course ‘Hedgerow Bowl’ challenged the students in two ways, achieving a honeypot shape and incorporating fresh hedgerow material into their baskets. To achieve a perfect bowl shape entails working really hard to ensure an even curve, the weaving pulls the side stakes out and the basket tries it’s very best to become a platter – the weaver has to stay calm and keep an even inward pressure on every stake so that eventually the sides of the basket curve in ……. 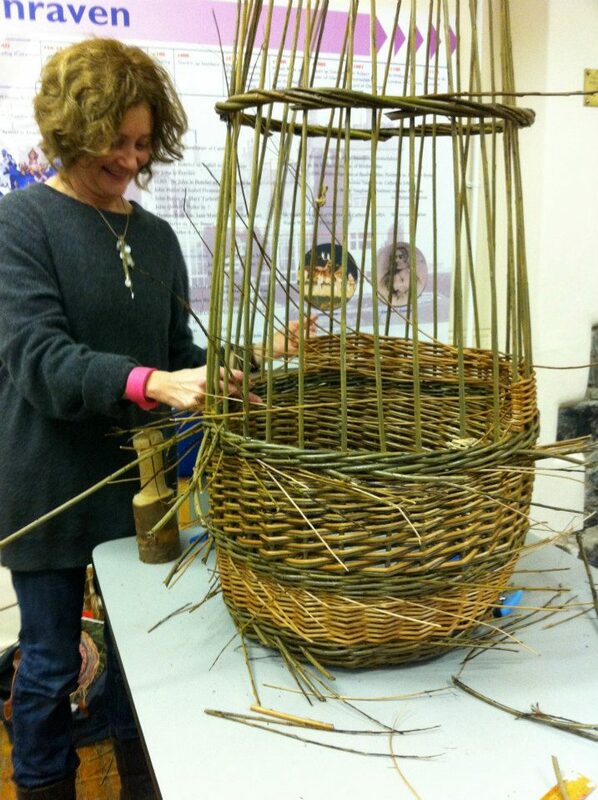 The side stakes are tied together and then attached to the base of the basket so that the weaver can pull the stakes into a deeper and deeper curve. There were a few heartfelt sighs but everyone got there in the end to produce some very fine work. 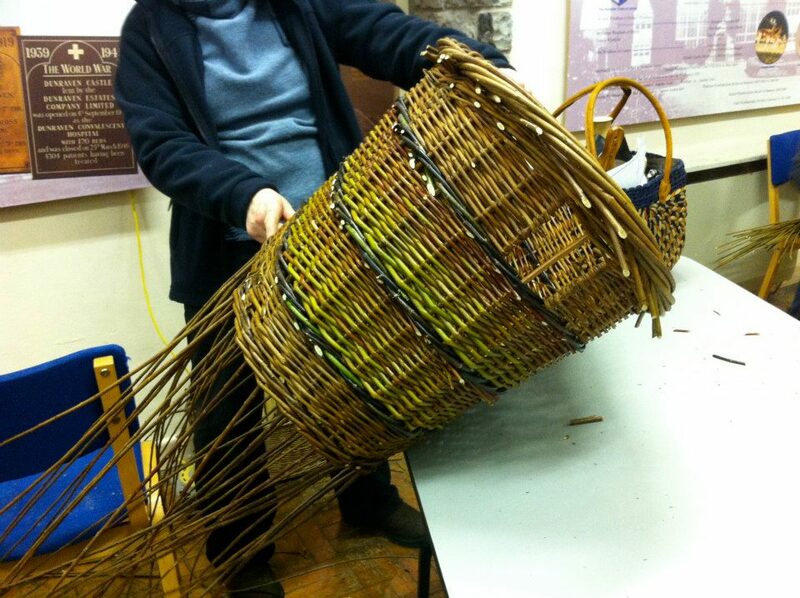 Improvers courses we are looking forward to are Fitching, Lidded Knitting Basket and Square Baskets. 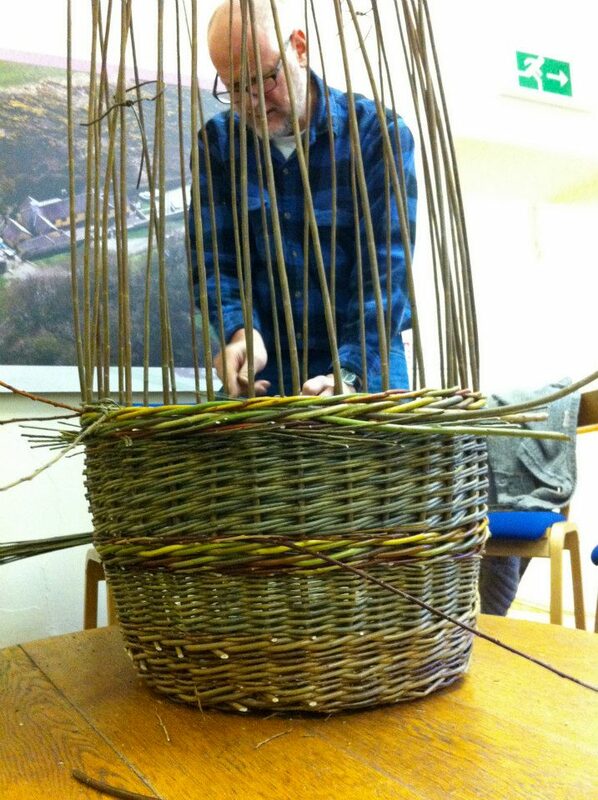 We have lots of other courses, including some new for 2013 such as Baskets for the Garden currently advertised on the website, why not come to the beautiful Heritage Coast and join our merry band!